The Pantry is very pleased to have received a grant in 2014 which we have used to set up a Brown Bag Program to supplement children’s lunches with nutritious food items. 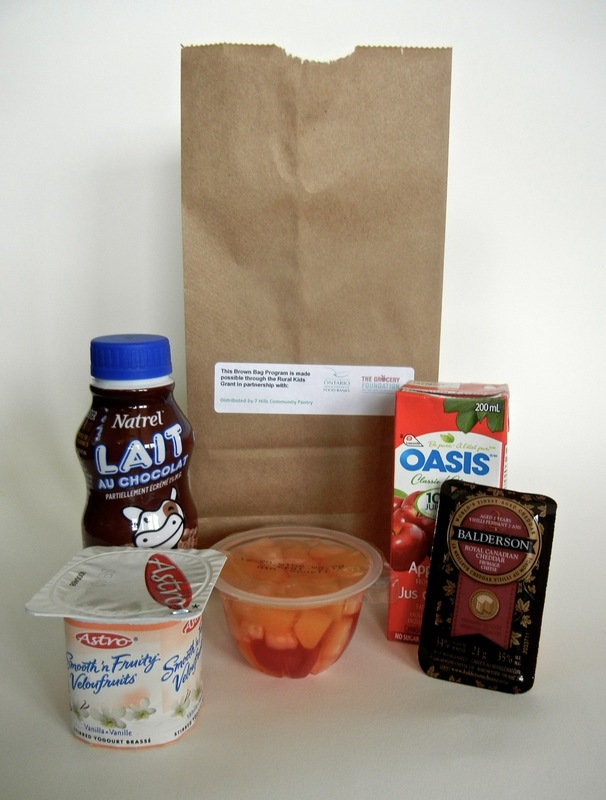 Families with children who visit the Pantry will receive a brown bag for each child, containing items such as cheese, fruit cups, granola bars, and chocolate milk. Thanks to the OAFB and the Grocery Foundation for sponsoring this program! This entry was posted in Uncategorized on January 29, 2014 by 7 Hills Community Pantry.